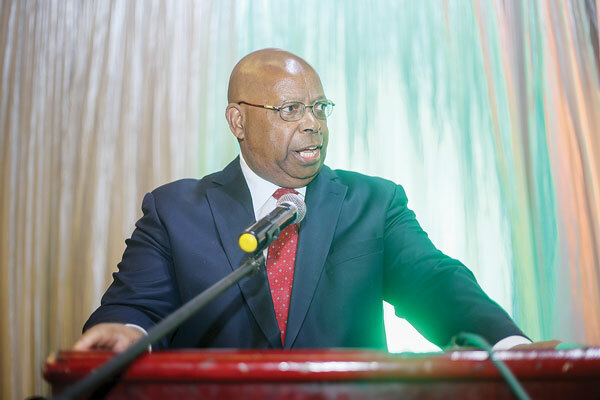 The MDC finds the utterances by Advocate Mudenda on the capacity of MPs to be unfortunate, reckless and disrespectful. They are an indictment on his leadership and a sad attempt to undermine our Constitutional Democracy. Modern functional states exist on the basis of a liberal construct in which the majority are allowed to choose their representatives. Members of Parliament are representatives of the people of Zimbabwe through an election. They in turn elect a speaker of Parliament who cannot undermine the MPs who are the sole basis of his occupation of office. Undermining Members of Parliament entails undermining the people of Zimbabwe and the choices they make. It is the Speaker of Parliament's responsibility to protect the institution of Parliament and the members making up the institution as opposed to attacking them. Capacitation of MPs must be done with the view to improve oversight efficacy as opposed to scoring cheap political scores. 1. Ensure legislators have none partisan support staff assisting with technical expertise and research. 2. Ensure Committees are chaired by virtue of capacity as opposed to "political correctness"
3. Protect members of Parliament from bullying by members of the executive who happen to be more senior in political parties. 4. Defend members of Parliament who are being persecuted for partisan reasons prejudicing the house of possible rich contributions. 5. Ensuring those who want to take courses on technical areas of oversight have adequate resources. 6. Update the institution's library to assist members to have all information needed to play their role available. 7. Understand that members are derived from different fields providing a natural balance, they can therefore not be experts on similar issues. 8. Ensure citizen input to parliamentary discussions is improved especially the interaction with the MPs through the re-introduction of constituency information centres.